Happy Belated Birthday to My Dad! I’ve made a lot of fall cards with this set, but my Dad’s birthday is in August so I wanted to make a nice summery green card. 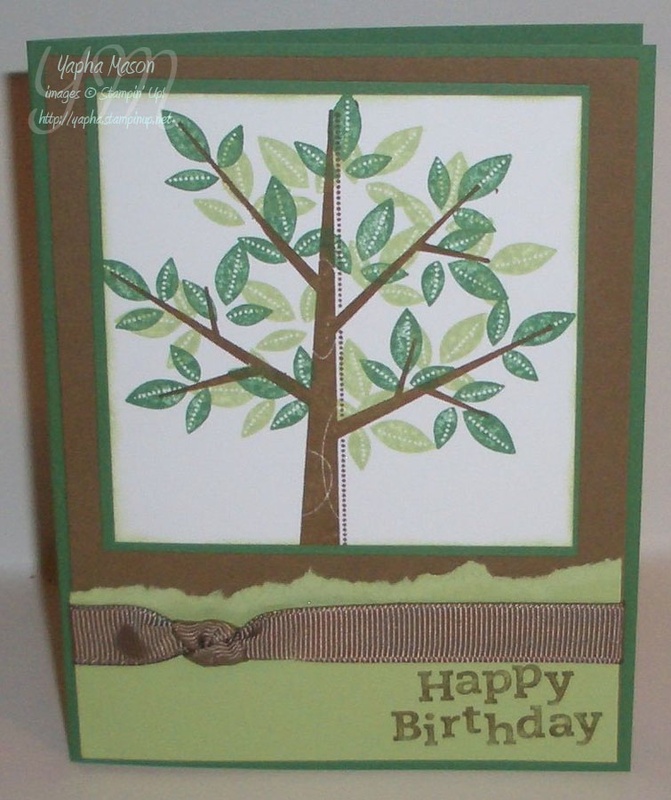 I used my Color Wheel from Stampin’ Up to pick out what shades of green went best together. I decided on Garden Green and Certainly Celery. I love the way it came out!